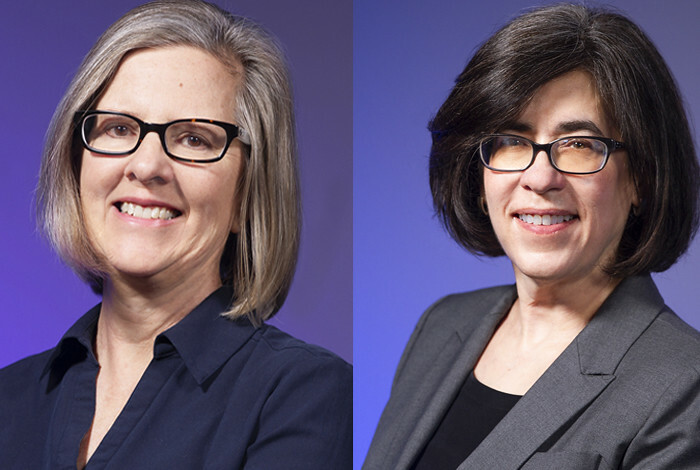 LOS ALAMOS, N.M., March 28, 2019—Two researchers from Los Alamos National Laboratory were recognized with 2019 Women in Technology Awards by the New Mexico Technology Council. Janette Frigo, an electrical engineer with the Laboratory’s Intelligence and Space Research division, and Laura Monroe, a mathematician with the Laboratory’s High-Performance Computing division, were recognized for their exceptional work in the STEM fields, their commitment to community and mentoring other women. Frigo is the chief innovator behind an award-winning long-range wireless sensor network that allows multiple sensors to talk to each other over vast distances and in harsh environmental conditions. It has broad applications in environmental management, ranching, the security industry and a myriad of others.